What is Google Drive and Why use Google Drive? With the move to Cloud Computing and the growing popularity of Google Apps, new applications such as Google Drive are similar and different to previously used programs. Find out what Google Drive is and why you would want to use it in and out of the office. If you are already using Google Drive and have just switched to the new look, check out this post to see the differences. 2 What is Google Drive? 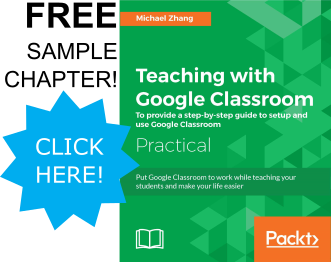 3 Why use Google Drive? Google drive is a cloud computing platform that allows you to “create Google Docs, store 30+ other file types, then open and share files from any device!” (source). It focuses on online storage (aka cloud storage) and management and stores and manages files created from Google Docs, Googles online office web application. 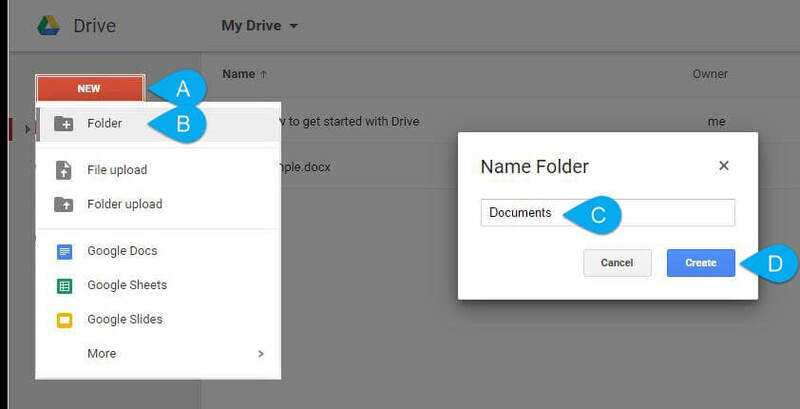 This online office feature separates Google Drive from other online cloud storage applications such as Dropbox. Another major feature of Google Drive is online real-time file collaboration, where users are able to view and edit documents simultaneously. Google Drive has many features and functionality. The main advantages of Google Drive fall under two categories: Online Storage and Online Collaboration. The rest of this post will elaborate on using Google Drive as online storage. Next week we will cover the second category, Online Collaboration. Oftentimes, documents are needed on several computers at several different locations. Before online storage, transferring files involved copying files from one computer to another by using a USB thumb drive (aka a USB flash drive). Most thumb drives have low security, neither encrypting the files on the drive, nor password protecting the contents. Therefore, if a thumb drive was lost, like in this case in Alberta, the files would be accessible to anyone who finds the thumb drive. Using online storage is an alternative to using USB thumb drives. Thus, the security risk of losing a thumb drive is eliminated. Files are simply uploaded to the online storage location and can be downloaded on the desired mobile device (assuming a stable internet connection). 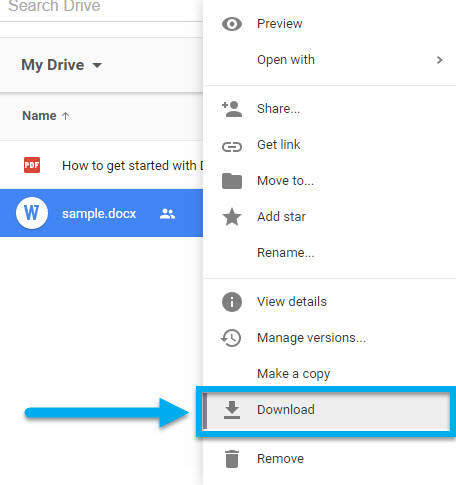 Assuming you already have a Google Account (If not, check out this video), the following steps outline uploading and downloading files to and from Google Drive. Google Drive also uses folders to organize files within it. Google Drive can be accessed from any web browser connected to the internet. In addition, on mobile devices, apps are available on the Google Play store and the Apple App store. On a desktop computer, a simple method of launching Google Drive is to navigate to Google’s homepage (www.google.com) and clicking on the nine-square icon (known as the App Launcher) at the top right corner. Select the Google Drive icon will appear in the Launcher. Another method is to navigate to “drive.google.com” in the address bar of the web browser. Click on the red “New” button in the sidebar (A) and select “File Upload” (B). In the computer’s file manager, find and select the desired file to be uploaded (C) and click the “Open” button (D). NOTE: A pop-up appear at the bottom-right corner of Google Drive showing the upload status (E). The uploaded file will appear in the file list. To view the file, double-clicking the file will display the file. Unless it is a Google Doc (more on this file type later), the file will not be editable in Google Drive. On the computer, open the file explorer and find the desired file. Arrange the file explorer and Google Drive so that the file explorer window is on top of Google Drive and the file list of Google Drive is still visible. 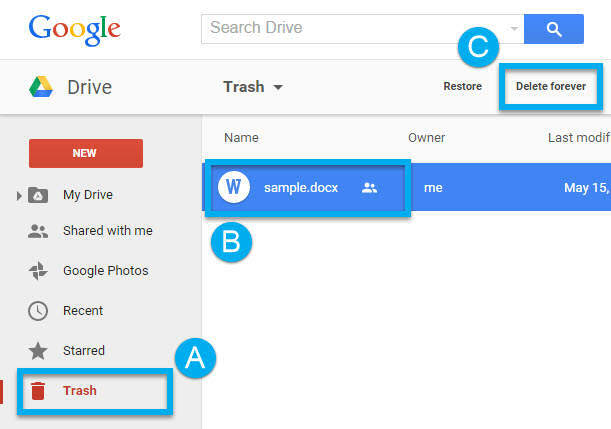 Drag-and-drop the file from the file explorer onto the file list of Google Drive. Right-click on the desired file and select “Download” in the contextual menu. The file will appear in the web browser’s “Downloads” folder. 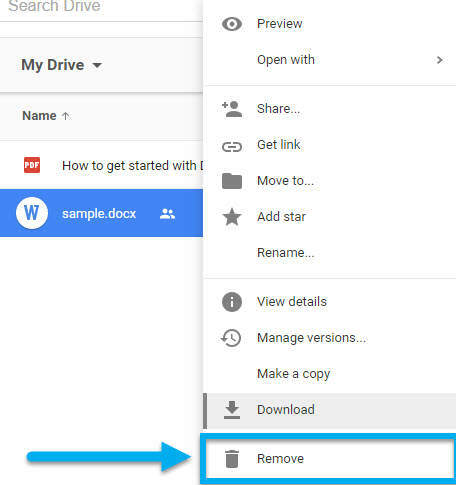 To delete a file on Google Drive, right-click on the file and select “Remove” in the context menu. Files are sent to the Trash (called “Bin” if you use English UK). Files are NOT deleted automatically. To permanently delete a file, click on the Trash in the sidebar (A), click on the file (B) and then click on the “Delete forever” option in the header (C). Click on the “New” button (A) and select “Folder” (B) from the menu. The page will darken and a pop-up will appear to name the folder (C). Click the “Create” button when finished (D). The new folder will be visible in the file list. Moving files mimics other file managers found in Windows and Apple computers. Simply click and drag files onto the folder in the file list (A) or onto the folder in the sidebar (B). While Google Drive may seem like another computer thing to grudgingly learn or vehemently avoid, online storage is growing dramatically. Despite it’s newness in the business environment, file storage, whether on a computer or in the cloud, is managed similarly. Files are uploaded and downloaded in the same way files are copied to and from a USB thumb drive. However, additional benefits such as file collaboration add to cloud storage’s usefulness. Join us in part two, where we explore Google Drive’s collaboration features.